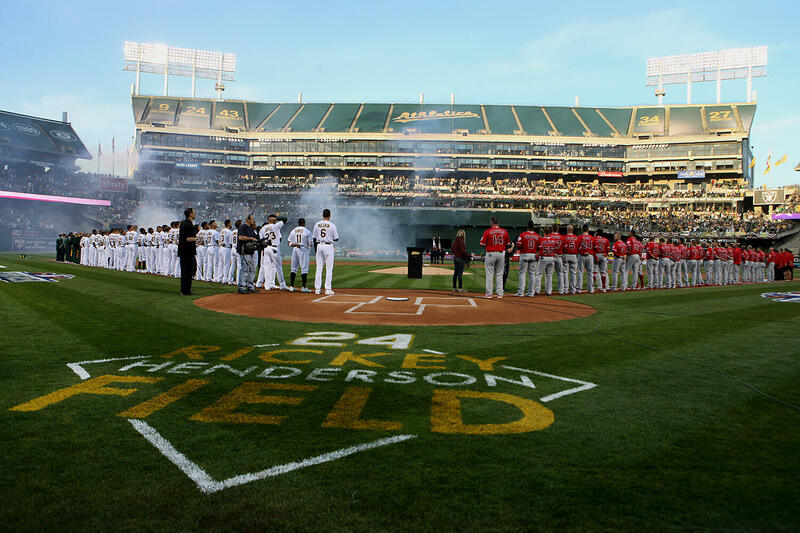 The Oakland A’s 2019 Fan Fest was filled with good vibes from a successful season that was, and a certain optimism for a season to be. Dedicated fans crowded into Jack London Square for an eventful day, given the chance to meet some of their favorite players., ask the hard-hitting questions and snag an autograph. Hitti said that the energy created in the Oakland air was palpable. If you weren’t waiting in line for booth activities, you were most likely on the lawn listening to Questions and Answers from the coaches and players. One question in particular created a lot of attention, having to do with the one bit of anxiety surrounding the 2019 A’s — also having to do with a great source of excitement. The question regarded Oakland’s No. 9 overall pick in the 2018 draft Kyler Murray, who followed up his high MLB selection by collecting the Heisman Trophy as the quarterback for the University of Oklahoma. Beane recently visited Murray, his agent Scott Boras and the Murray family, which includes uncle and former Major League Calvin Murray, in Dallas. Beane and the A’s remain hopeful that Murray will join the club in Mesa, Arizona for Spring Training. The A’s are coming off one of their best seasons in recent franchise history and wish to continue to improve. Young talented players like Jesus Luzardo, A.J. Puk and Sean Murphy, each named to Baseball Pipeline’s top 100 prospects Saturday, among the many more bring their own excitement. Beane and company used nearly 50 players last season. Understanding that, he wants each player attending Spring Training — which could include Murray — to understand that if they are playing in the Cactus League, it is because they have a real chance of contributing at the major league level this year. Marco Estrada, a 2016 All-Star pitcher, signed with the club Friday and Beane believes he will be at the top of the pitching rotation. Though he is open to further improving the roster during spring training and up until the season-opening series in Japan’s Tokyo Dome on March 20. Finally, there is no sour taste lingering from their Wild Card Game defeat against the New York Yankees that ended 2018, according to manage Bob Melvin. Saturday marked the unofficial beginning of 2019, and more importantly, the official end to 2018. Players were excited to see the entire area filled with yellow and green and are eager to get to Arizona to start the season off better than last year, and end Oakland’s 29-year World Series drought.